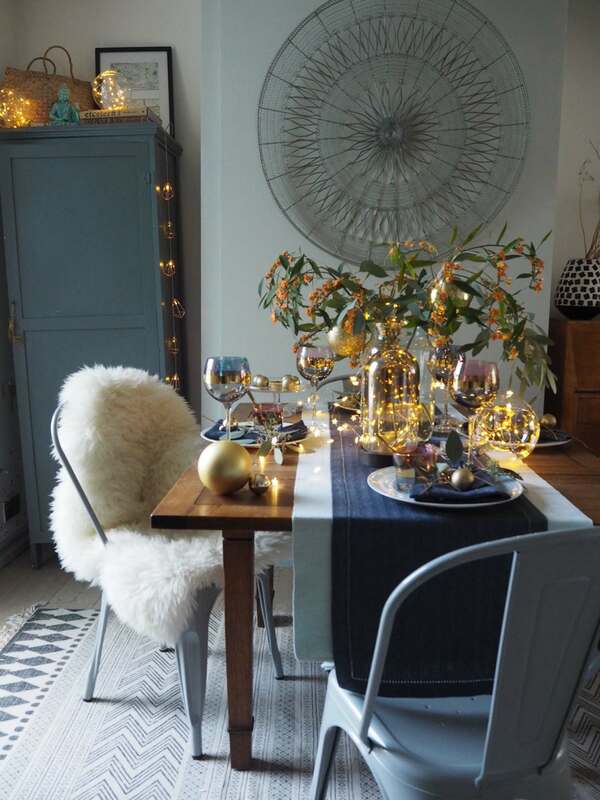 4 styling tips that will bring ‘feel-good factor’ to your table. 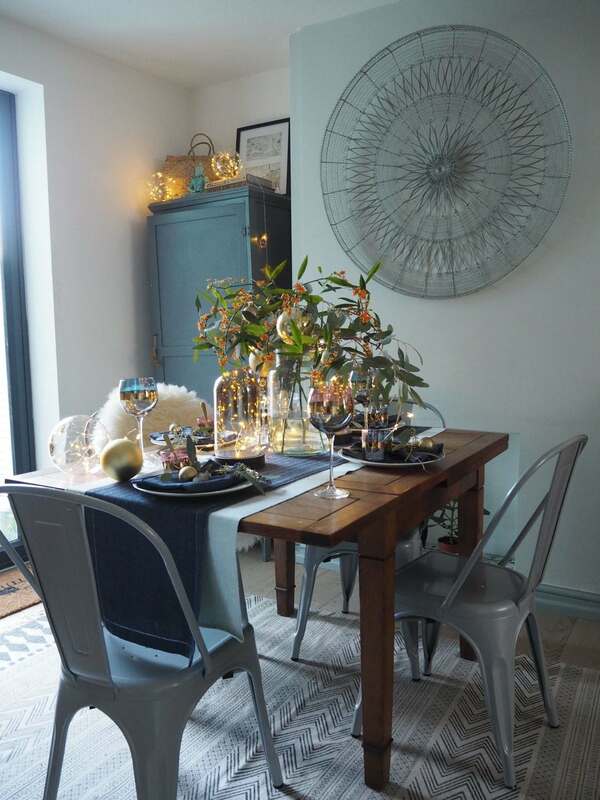 Create a focal point on your dining table with a beautiful centrepiece. 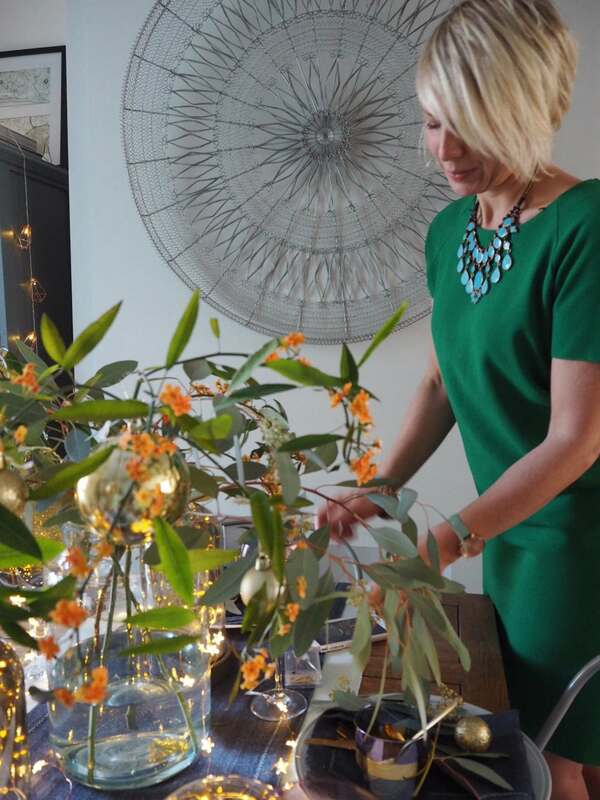 My go-to is always seasonal flowers, leaves and branches. 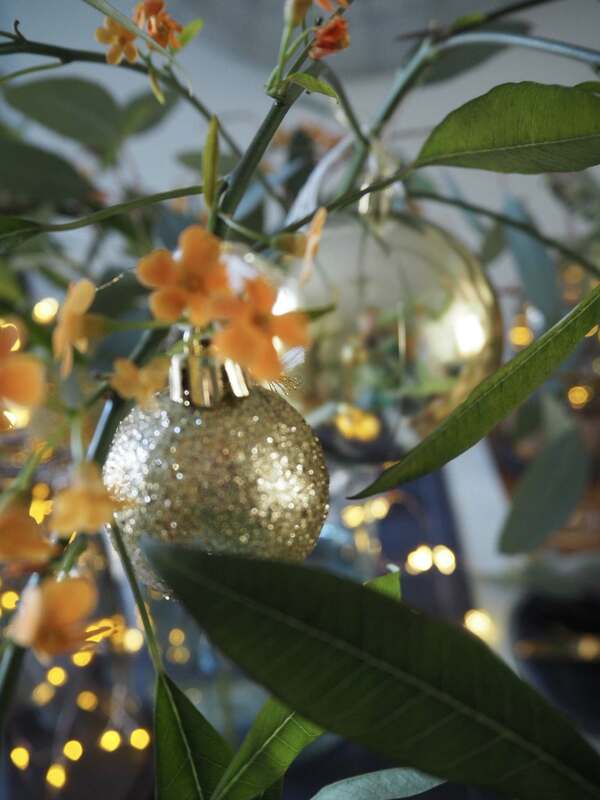 This Christmas, I’ve filled a large vase with orange Euphorbia flowers and Eucalyptus Populus. Among the branches, loosely drape battery powered fairy lights. 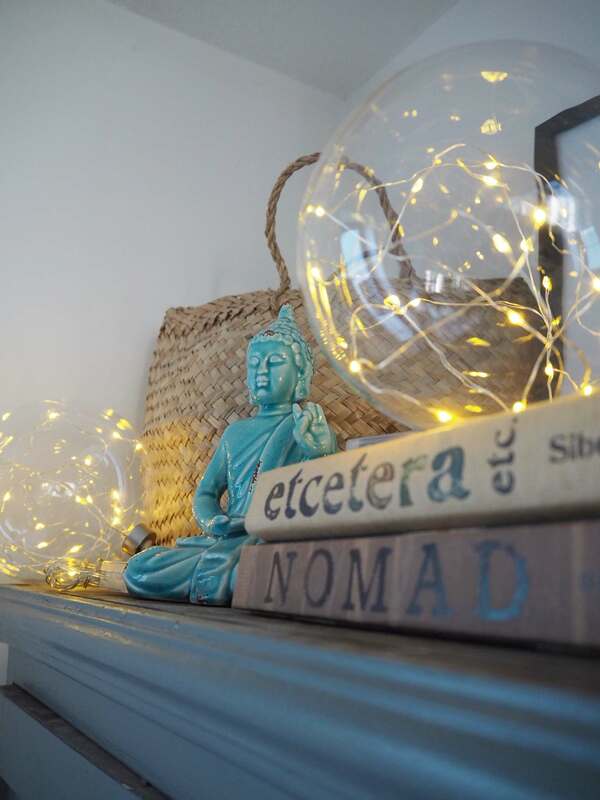 I chose these copper wire and star lights for my display. 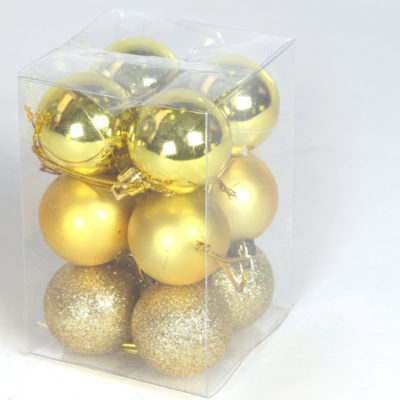 From branches hang several baubles in different sizes. 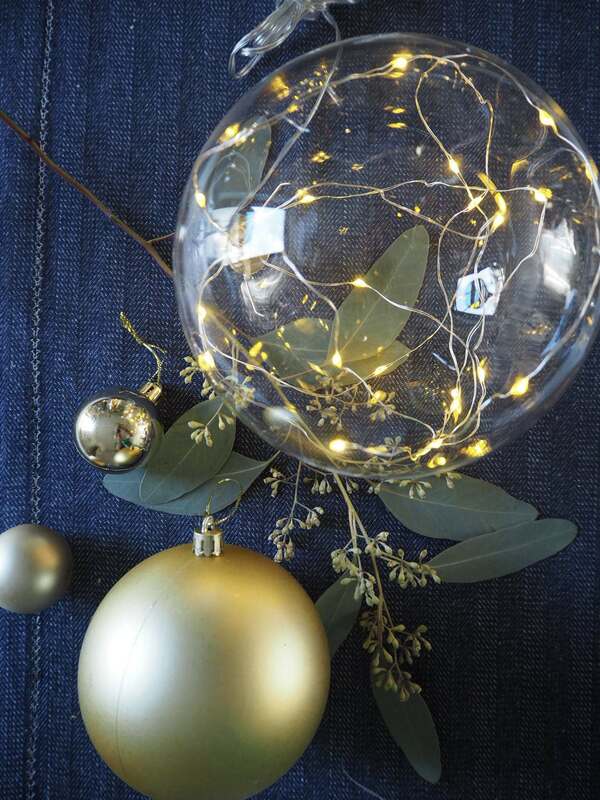 The gold finish of these baubles glimmers and sparkles under the fairy lights. Look out for shatterproof ones like these – which are more hardy, and tend to be lightweight too. And only cost £2.99. 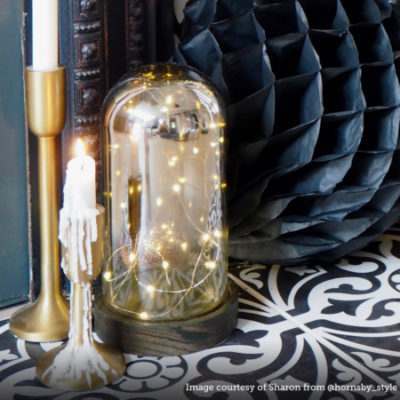 As the days are much darker at this time of year, fill your table with light-up decorations that are perfect for creating an intimate mood. As it gets dark outside, your table will become more atmospheric, so you can kick back and enjoy your meal under this chic set up. I was particularly taken with these glass domes from the Dining Luxe collection that have an ombre metallic finish. They are £12.99 each. 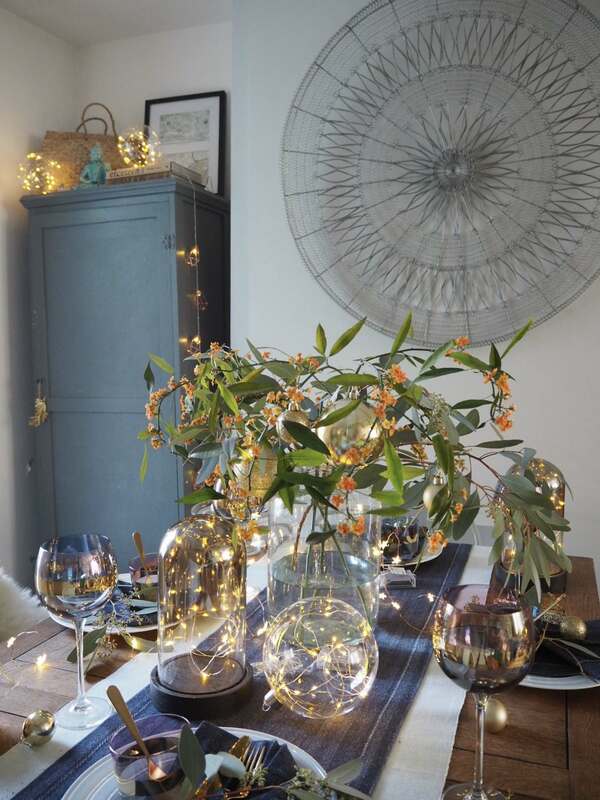 Try placing one either side of your centrepiece to create a ‘runway’ of lights down your table. This is where you can let your creative styling flow. 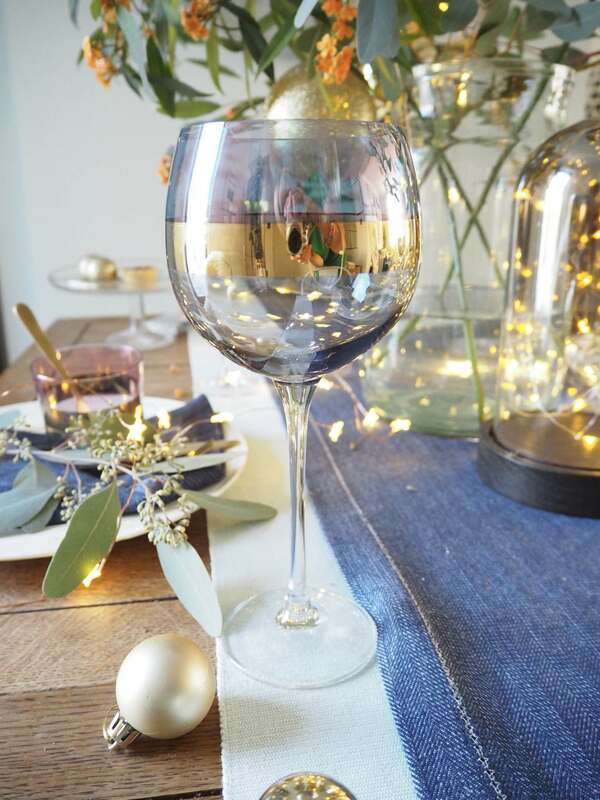 Layer cutlery and napkins onto your plates, then finish off with a sprig of Eucalyptus to match your centrepiece. This will bring the look of your table-top together. At each setting, I popped a small gold bauble to finish it off. 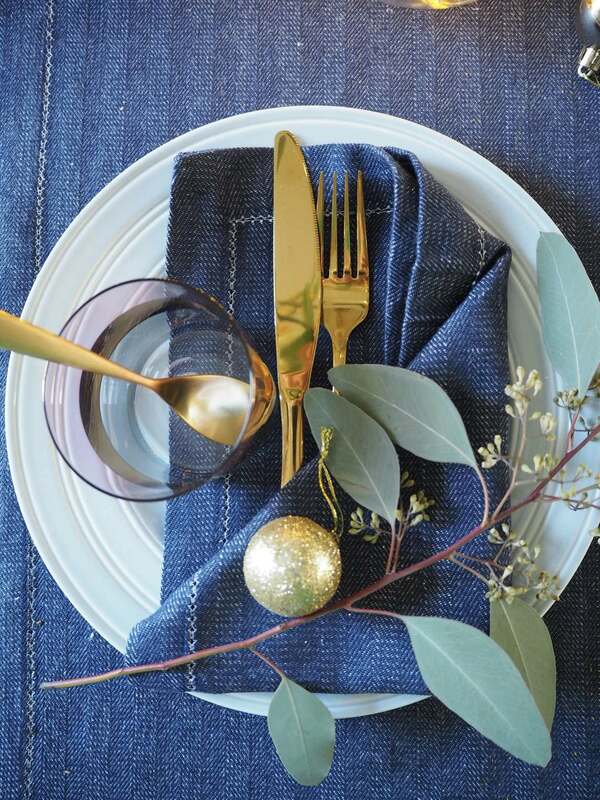 My tip: Invest in metallic tableware that will catch the light. I bought the gold cutlery from Next last year. And this year, I’ve treated myself to these beautiful ‘Bangle’ goblets from LSA (£40 for two) perfect for enjoying a Christmas tipple (or two). 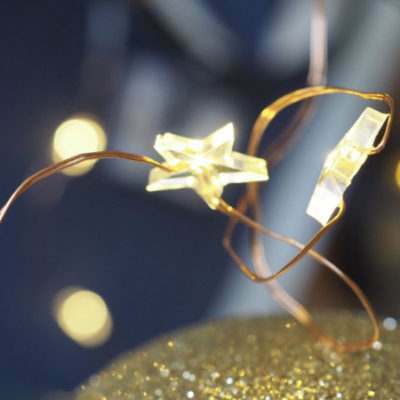 Finish off the look by trailing battery powered fairy lights around your plates. It’s important to light all the corners of your dining room to give off the right ambience for entertaining. 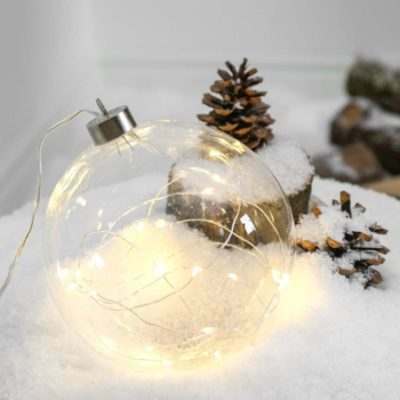 Try dotting around lights in dark corners to give them a much needed something-something. My drinks cabinet is a particularly dingy spot in my home. That’s why I hung light up copper lanterns, and giant glass baubles up above. These touches will finish off the look of your dining room. AND THIS IS THE END RESULT. A TABLE TOP SET TO IMPRESS YOUR GUESTS. 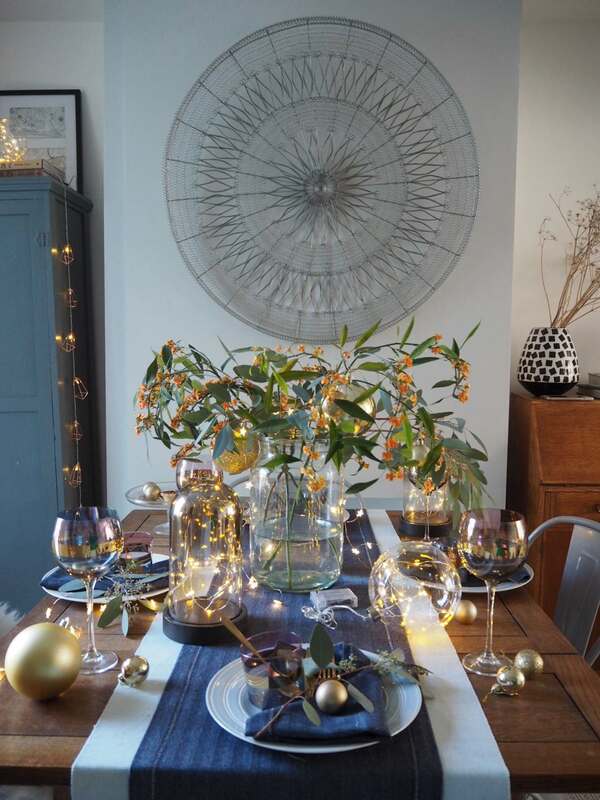 If you follow my styling lighting tips this Christmas, I guarantee your table will impress your friends and family (even your grumpy old Aunty will be impressed, I promise). 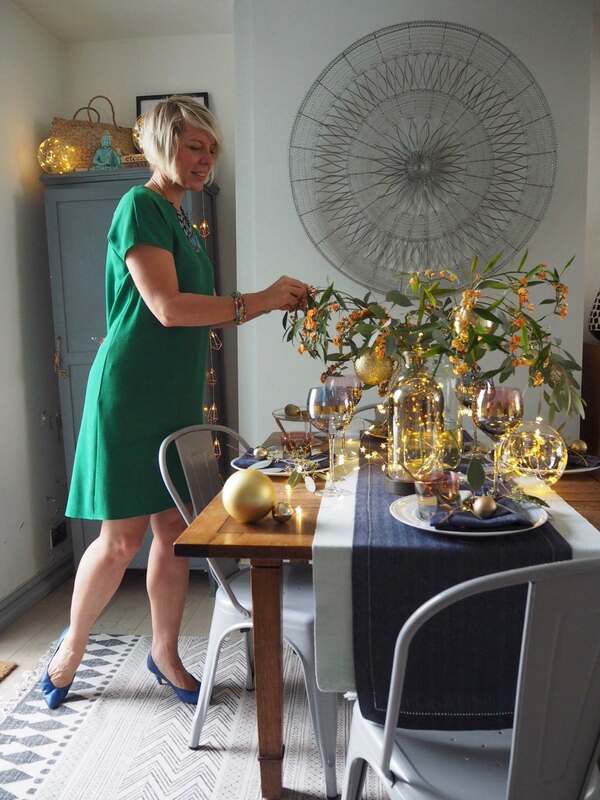 I hope that by sharing my insider style tips, you will be able to add some lighting magic to your Christmas dinner. I’m dying to know how you get on – so make sure you pop your comments in the box below. 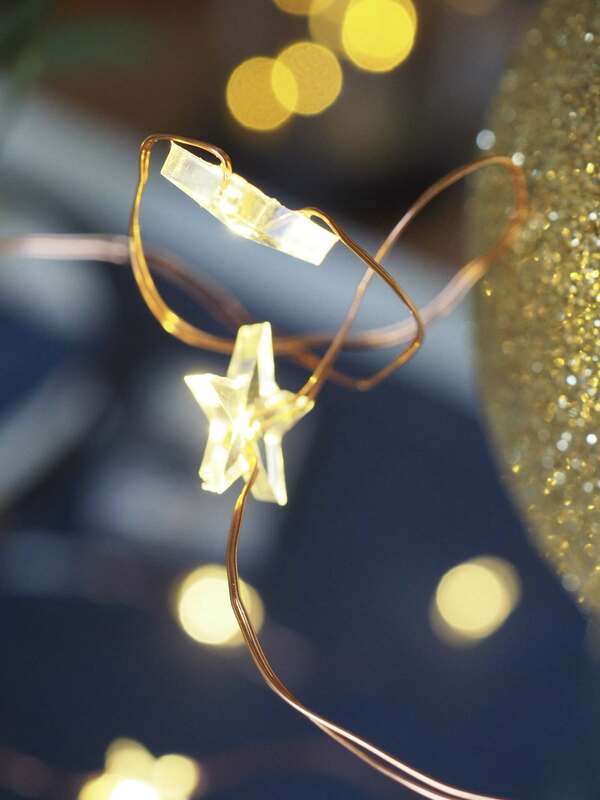 If you want to discover more Christmas tips, please make sure you watch my youtube video on Christmas Lighting here. I’ve also done a video on how to decorate your mantlepiece which you’ll enjoy too. Feeling lazy? Last year I did the Lazy Girl’s Guide To Christmas which you’re going to love – as well as my stag head decorating disaster! ** Disclaimer this is a collaborative post. All opinions and photos are my own. I was given lighting to review for this post.